Donald Trump told supporters on the campaign trail his plan to combat the opioid crisis. It included stopping the flow of drugs into the country, increase the penalties for drug trafficking, and make treatment more accessible. “We will give people struggling with addiction access to the help they need,” then-candidate Trump said. In the first year of his presidency, that plan has developed partially due to the influence of people working on solutions to the epidemic in the Ohio Valley region. But as the one-year mark for the Trump administration approaches, public health officials in the region offer a mixed view of the president’s action. Lisa Roberts, a public health nurse with the Portsmouth City Health Department, said she believes that important steps were taken, but more could have been done. President Trump formed the Commission on Combating Drug Addiction and the Opioid Crisis early on in his first year. Led by New Jersey Governor Chris Christie, the commission worked over several months to develop policy recommendations. The final report in November included over 50 recommendations the commissioners felt the president could immediately put into action across his administration. Those included relaxing restrictions on medication-assisted treatment, establishing federal drug courts, and developing quality standards and best practices for recovery residences. But only a few of the recommendations have been put into place. One of the few that has been partially implemented is a waiver for states to the charge Medicaid for addiction treatment services that were previously prohibited. Credit Courtesy White House video. West Virginia applied for what’s known as a 1115 waiver in September, 2016. The state received approval from the U.S. Centers for Medicare and Medicaid Services in October,2017. The state has been able to use Medicaid funds for life-saving resources in phase one of a new plan to address the crisis which went into effect this week. “With our Medicaid partners, one of the first steps we’ve taken is to be able to, for first responders, to bill for naloxone,” Dr. Rahul Gupta, the state’s Chief Health Officer said. The new funding will take some of the burden off of the budgets of first responders who have increasingly spent more money on the overdose reversal medication. More resources from the waiver will roll out in July. Kentucky had its 1115 waiver approved earlier this month. Ohio submitted a 1115 waiver application in 2016, but it was rejected by the Obama administration. President Trump emphasized “law and order” when discussing the opioid crisis during his first year. His preferred plan to build a wall to keep drugs from coming over the border remains in limbo. But other agencies under his direction put an emphasis on combating drug trafficking activity in Appalachia. The Drug Enforcement Administration announced last year the deployment of a mobile tactical diversion squad to West Virginia to provide support in a region hit hard by the opioid epidemic. The DEA also announced a new Louisville Field Division that will employ 90 special agents and 130 task force officers that will work in Kentucky, Tennessee and West Virginia. 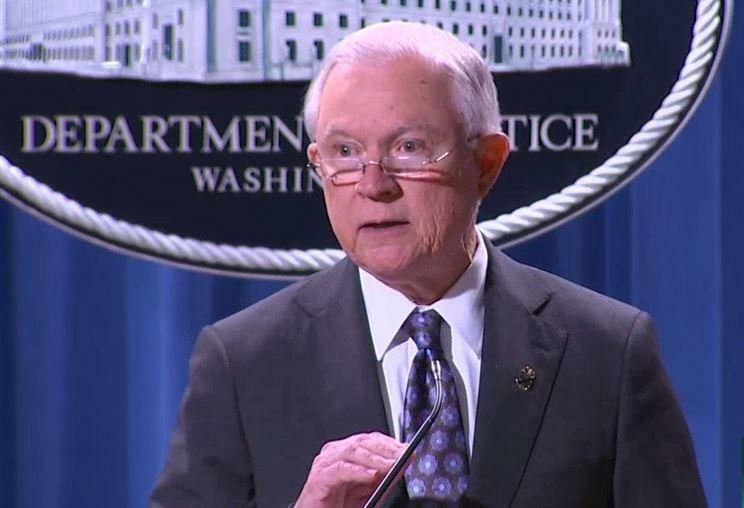 “These areas covered face similar drug threats, enabling this division to better focus on the particular threats of that region,” Attorney General Jeff Sessions said. The new division was just part of Sessions’ strategy to improve the Justice Department’s approach to the opioid crisis. He announced $12 million in grants to be awarded to law enforcement agencies tackling drug trafficking. And each U.S. attorney will appoint an opioid coordinator to handle related cases and develop a strategy to combat the opioid epidemic. Sessions was one of several members of the Trump administration to visit the Ohio Valley to hear from those working to combat opioid addiction in the region. He most recently spoke at the “West Virginia on the Rise: Rebuilding the Economy, Rebuilding Lives” conference in September. Presidential adviser Kellyanne Conway, Trump’s appointee to coordinate the administration’s opioid response, visited West Virginia multiple times to learn about the epidemic, most notably with former Health and Human Services Secretary Tom Price on a listening tour and on a separate visit with First Lady Melania Trump. 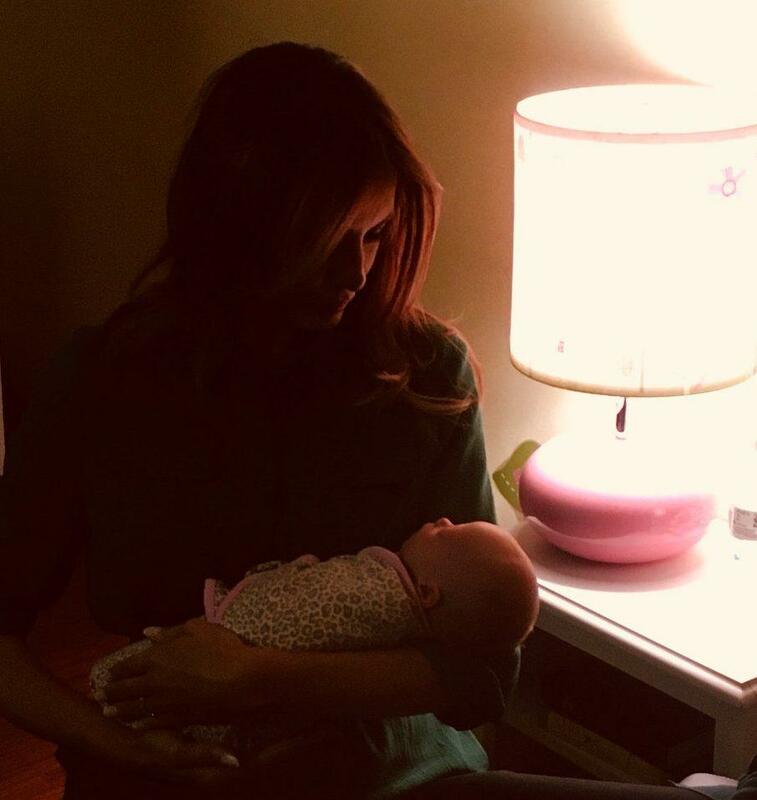 Melania Trump’s visit to Lily’s Place in Huntington, West Virginia, focused on babies being born dependent on the opioids their mothers used while pregnant. 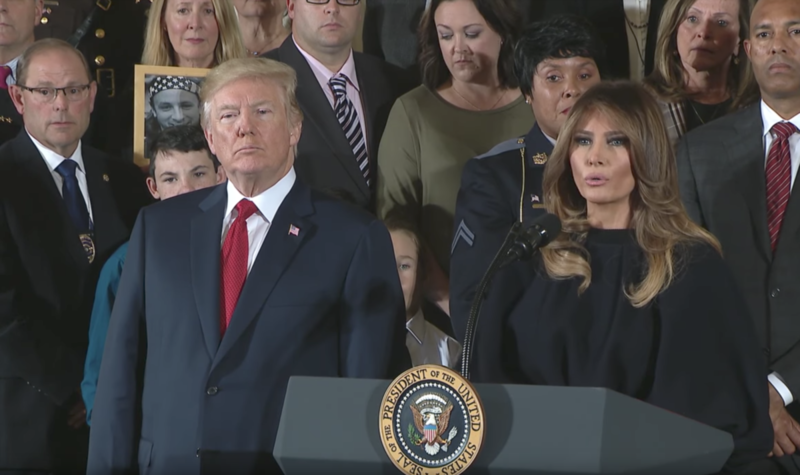 What the administration learned during these visits to the Ohio Valley partially influenced what could be considered President Trump’s marquee action on opioids in his first year. The presidential commission had urged Trump to declare the opioid crisis a public health emergency in order to free up resources and allow for more swift action. The administration publicly debated whether it would make a declaration before Trump did so in October. The plan called for programs targeted at improving treatment in rural areas. This included increased treatment through telemedicine, the development of a nationwide education program, and the streamlining of funds for treatment. The Trump administration looked instead to Congress for funding. And while there is talk of adding some money in the end-of-year spending bill, there is no assurance as yet. Meanwhile, many of the programs highlighted in the emergency declaration have not been put into action. Regional lawmakers including Sen. Sherrod Brown (D-Ohio) and Sen. Joe Manchin (D-W. Va.) have urged Trump to extend the 90-day health emergency that is set to expire next week. Lisa Roberts said that can serve as snapshot of the Trump approach to the opioid epidemic in his first year: promising steps but little action.